When I first heard of Melecon 2000, the river walk in Guayaquil, Ecuador I wasn’t really impressed. It’s not a new idea and I’d seen a few of them in my day. But Malecon 2000 surprised me. It was unique. Just as they all are, of course. What I liked about it was that it was a limited access park, that is there were only certain points where you can enter and there are guards at all the entry points. It also had a parking garage built underneath the elevated river walk. While this might not seem significant, it means that the river walk is generating substantial revenue every day, as it’s located in the heart of the city’s business district. I also liked its’ size. It was big. Very big. As was the river. But the thing I liked most about it was the care that went into it. It was one of the most nicely landscaped environments I have been that was free and open to the public. 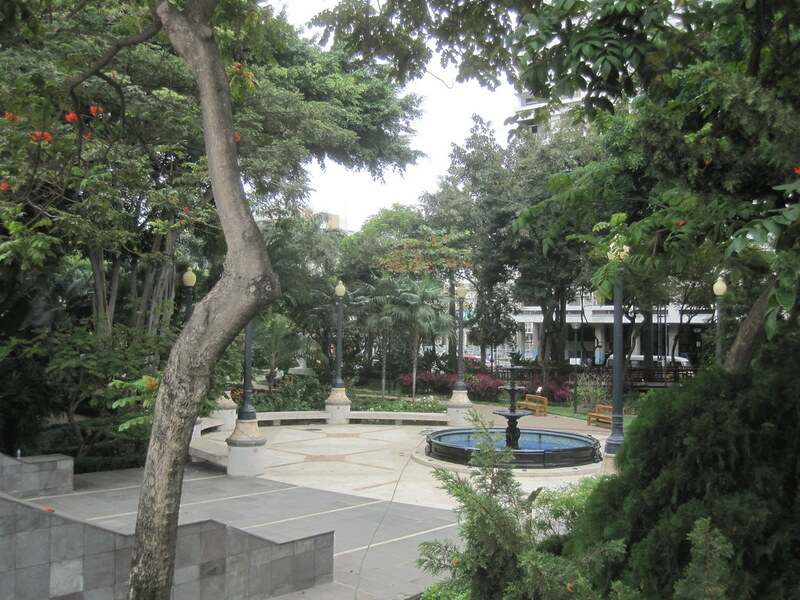 This entry was posted in Travel and tagged Ecuador, Guayaquil on September 21, 2011 by Steve.